This Welder-Generator can do it all. Not only is it the smallest and lightest unit on the entire market and saves valuable space, it provides welding power and electric power (120 Volt or 120/240 Volt) 60 Hz or optional DC. 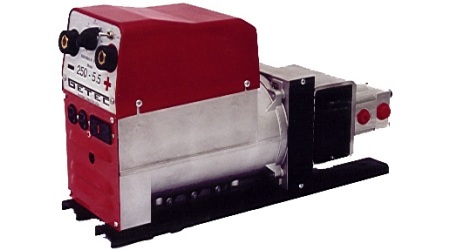 The Hydra-Weld is a hydraulically Driven DC Welder/AC Generator combination set. The Welder produces 225 Amps of welding power, while the Generator delivers 4200 Watts of reliable AC power. This unit is now providing reliable power since 1985. The built in pressure compensating flow regulator guarantees a constant Welder/Generator speed over a wide flow variations. 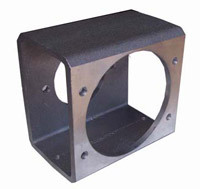 Getec’s patented Hydraulic Motor Mount is machined to .0001 of 1″. This precise motor alignment enables Getec to give a lifetime warranty on the coupling. 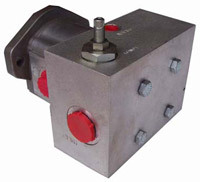 Its complete 360 degrees solid casting guarantees a smooth and chatter proof operation between Generator and motor. Getec’s Integrated Pressure Compensated Flow Regulator (patent pending) eliminates unnecessary hose and fitting connections between motor and flow regulator which reduces installation costs. This unique arrangement saves valuable space and eliminates future leaky fittings and hoses.